In this present paper, firstly, the modified positive operators and its discrete operators are constructed. 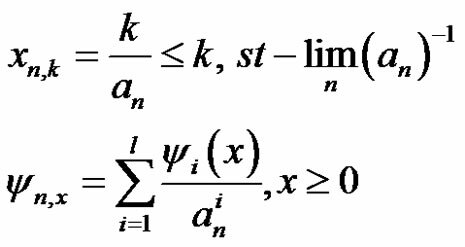 Then, we investigate the statistical approximation properties and rates of convergence by using modulus of continuity of these positive linear operators. Finally, we obtain the rate of statistical convergence of truncated operators. First of all, let us recall the concept of statistical convergence. The natural density (or density) of the set is denoted as . then we say that a sequence is said to be statistcally convergent to a number of L (see Fast in ). is endowed with the norm . Grof and Lehnhoff obtained the conditions which ensure the convergence of the operators to f.
Notice that the notation shows the largest integer and it is not exceeding the number . 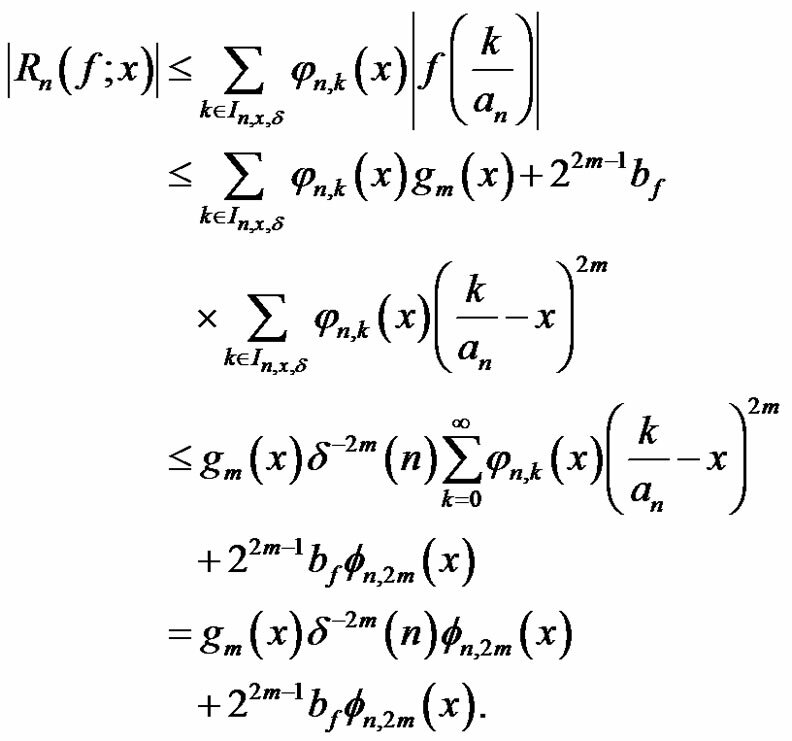 The main aim of this paper is to investigate the statistical approximation properties of the operators which constructed and examined the ordinary approximation properties by Agratini in . Let us recall the operators which were defined by Agratini in . a net on is fixed.
. Where, is the space of all realvalued functions continuously differentiable in IR+. where F stands for the domain of containing the set of all continuous functions on for which the series in (5) is convergent. We note that, with specific choosing these operators turn into the operators mentioned in . A Korovkin type statistical approximation theorem for any sequence of positive linear operators was proved by Gadjiev and Orhan in . First, let us recall this theorem. Where denotes all functions f that are continuous in [a,b] and bounded all positive axis. Now, we can give the following theorem which includes the satatistical convergence of the operators in (5). , we have the rates of statistical convergence of the operators in (5). where, is a sequence of positive numbers. Where is a constant depending only on m and the compact K.
If we take norm on K we have the following. I. Niven, H. S. Zuckerman and H. Montgomery, “An Introduction to the Theory of Numbers,” 5th Edition, Wiley, New York, 1991. H. Fast, “Sur La Convergence Statistique,” Colloquium Mathematicum, Vol. 2, 1951, pp. 241-244. O. Doğru, “On Statistical Approximation Properties of Stancu Type Bivariate Generalization of q-Balazs-Szabados Operators,” Proceedings of International Conference on Numerical Analysis and Approximation Theory, Cluj-Napoca, 5-8 July 2006, pp. 179-194. O. Doğru, “On Weighted Approximation of Continuous Functions by Linear Positive Operators on Infinite Intervals,” Mathematica, Vol. 41, No. 1, 1999, pp. 39-46. O. Doğru, “Weighted Approximation Properties of Szász- type Operators,” International Journal of Mathematics, Vol. 2, 2002, pp. 889-895. O. Agratini, “On the Convergence of a Truncated Class of Operators,” Bulletin of the Institute of Mathematics Academia Sinica, Vol. 312, No. 3, 2003, pp. 213-223.